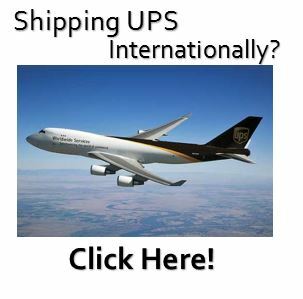 Founded in 1907, the United Parcel Service (UPS) is one of the world’s largest companies specializing in package delivery and a leading global provider of specialized transportation and logistics services. Encompassing both air and ground services, UPS delivers an average of 18 million packages worldwide per day, services more than 220 countries/territories, including every address in North America and Europe and employs 435,000 people internationally (all facts taken here from the UPS Pressroom). UPS is primarily owned by the employees; only 10% of UPS stock is available to the public. The week before Christmas, or “Peak Week” as it is commonly refer to, is the busiest week for most delivery services. Last year, December 22nd was the apex of Peak Week, topping the charts with more than 34 million packages delivered that day, or 393 packages delivered per second! 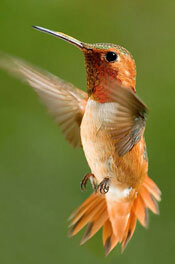 Just to give a little point of reference, most hummingbirds flap their wings about 50 times per second. So… yeah (see the entire 2014 fact sheet here). UPS discourages it’s drivers from taking left hand turns by using route organizing technology and personal experience that designs their delivery routes in a series of right hand turns. The company learned through time studies that avoiding left-hand turns saves time, conserves fuel, lowers emissions and increases safety. Reduced CO2 emissions by 100,000 metric tons, equivalent to 5,300 passenger cars off the road for an entire year (check out the whole press release on this subject here). UPS drivers are trained extensively before being assigned a route… they even have their own boot camp (watch the video here)! Just like USPS, UPS is a very reliable courier for a variety of services, but they have a few areas of specialty where they shine. In my opinion, shipping large, cumbersome and heavy items are handled best by UPS; at least this has been my experience. 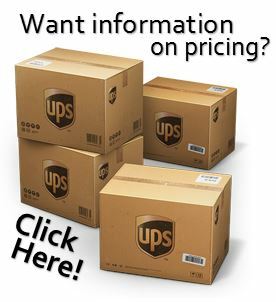 Want to learn some more interesting factoids about your UPS delivery person? Here’s a neato article: 19 Secrets of UPS Drivers .